Highland is committed to providing a safe work environment on the ground and in the air for its employees, customers, contractors and visitors. 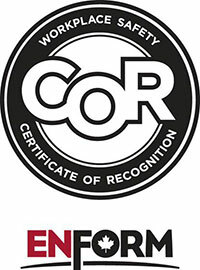 Both the Government of Alberta and WorkSafe BC have approved our Safety Management System through our certifying partner ENFORM which performs extensive on-site audits to ensure safety standards are met. Upon successful completion of this process Highland has received Certificates of Recognition (COR) for both Alberta and British Columbia. 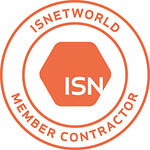 To ensure transparency of our safety record, we upload our safety data to ISNetworld, ComplyWorks and PICS. These safety monitoring and auditing web sites allow our clients to access data on Highland’s safety performance. Highland operates a pilot flight training centre to ensure the highest standards. Our pilots receive annual recurrent training in emergency procedures and practical applications of industry-based standards, best practices and skill sets. With two in-house Transport Canada-approved check pilots, the training standard far exceeds the industry’s norms. With the use of dedicated helicopters, classroom facilities and a four to five day schedule, the competency of all Highland pilots is thoroughly checked and certified. All Highland’s Aircraft Maintenance Engineers attend Transport Canada-approved courses for the aircraft types we operate. Additionally, our Maintenance staff attends manufacturer’s workshops that introduce the latest advancements in industry equipment and techniques designed to best maintain the equipment we operate. Highland strictly adheres to manufacturer’s guidelines to ensure our aircraft are maintained to the highest standards. At Highland Helicopters, we constantly strive to enhance our safety culture with a steadfast commitment to the best maintenance of our aircraft, staff development and continuous improvement of our Safety Management System.